Transportation takes place in brand new high-end vehicles, with a maximum capacity of 17 passengers and all sort of amenities onboard: Wifi, mobile charger, refreshing towels, water and a very professional and friendly bilingual driver that will make the journey a very pleasant experience. What else can anyone ask for? Take comfortable shoes, lots of energy and come explore with us one of Europe’s most valued sites. 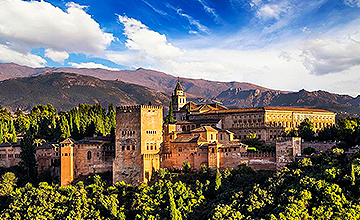 Private guided visit to The Alhambra by official tourist guides included. From Costa del Sol: 10h. 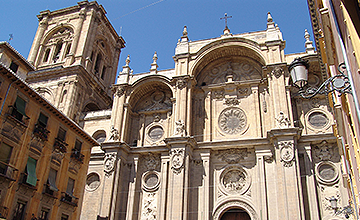 We are a renowned boutique travel agency and luxury transportation company located at Costa del Sol. We work for the best possible clients in the region: 5*GL hotels, embassies, authorities and celebrities trust us with their most demanding transportation services and trips.